The name derives from the Latin "Intraquarium" due to the fact that here merge numerous rivers. It is a town in Cuneo province, situated in Valle Gesso and the confluence of the rivers Gesso and Bousset. Originally consisting of the unification of the townships of Paschero and Rivo, today the municipality also includes other villages and districts and is part of the Maritime Alps Natural Park created in 1995, the merge between the Argentera Reserve and the Forest Park of the Palanfré Lakes . This is a protected area of almost 28,000 hectares of land, which includes the town of Aisone, Valdieri and Vernante, characterized by a flora and fauna, so rich and varied that it cannot be matched elsewhere in the World. It attracts tourists thanks to a small but very efficient ski resort. 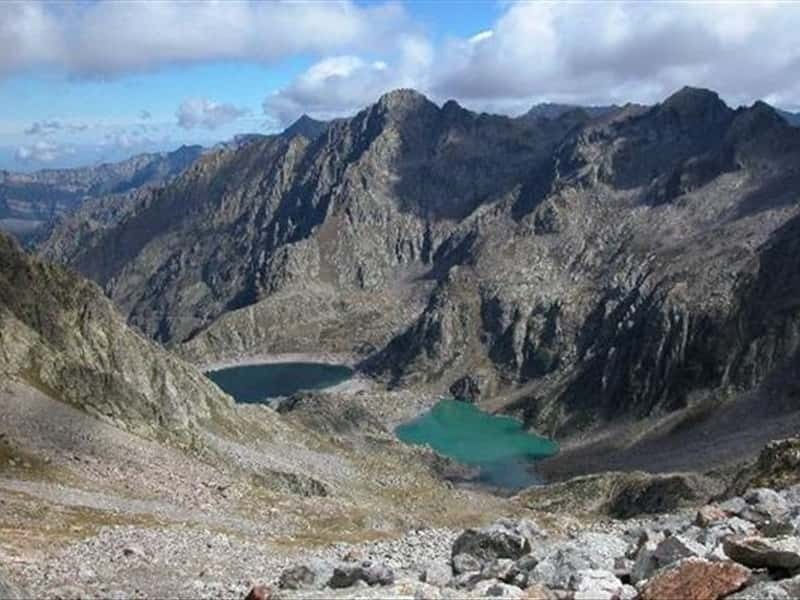 From here it is possible to make interesting excursions between the Lake of the Piastra and the dam of Chiotas at over 2000 meters above sea level. Historically documented for the first time in an act of Marchese Manfredo III of Saluzzo, in the first half of the XIII century, Entracque was under the rule of the town of Cuneo and shared its fate and history. Granted in fief by the Savoy to the Marquis of Ceva in 1424, along with all the Gesso River Valley, it was governed directly by the Savoy. In the first half of the XVII century the fief belonged to the Marquis Solaro di Moretta, and then passed to the Valperga and finally to the to Tana. - the parish of St. Anthony, that dominates the town. The original structure, dating from the XIII century, underwent changes during the XVI and XVII centuries. A fresco depicting the Madonna and Child with Saints Anthony and Anna dating from the XV and XVI century and a series of XVII century altars. - the Brotherhood of the Holy Cross with a rare organ of the XVII century. - the Chapel of St. John with its XVI century frescoes. - the fountain of St. Anthony, located in the center of the village, dates back to 1565. This town web page has been visited 12,291 times.